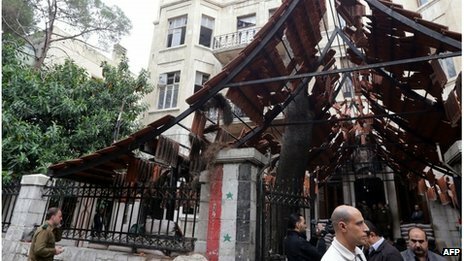 Suicide bomber targets government building in the al-Jisr al-Abyad district of Damascus. At least 4 people have died with 17 injured. More here from the BBC.